Crumbly, rich cornbread always has a place of honor on my table. My favorite is Rosa’s Cornbread which I blogged about here. But Rosa’s Cornbread is almost too rich for most meals. I save it for our yearly New Year’s Day celebration. I found this recipe in a Southern Living Cookbook. It has much less fat and more buttermilk. Since I had a carton of buttermilk in the refrigerator that needed to be used, this was the perfect way to accomplish that. This is a winner with its golden crust and tender crumb. We are enjoying the restaurants in New Smyrna Beach. 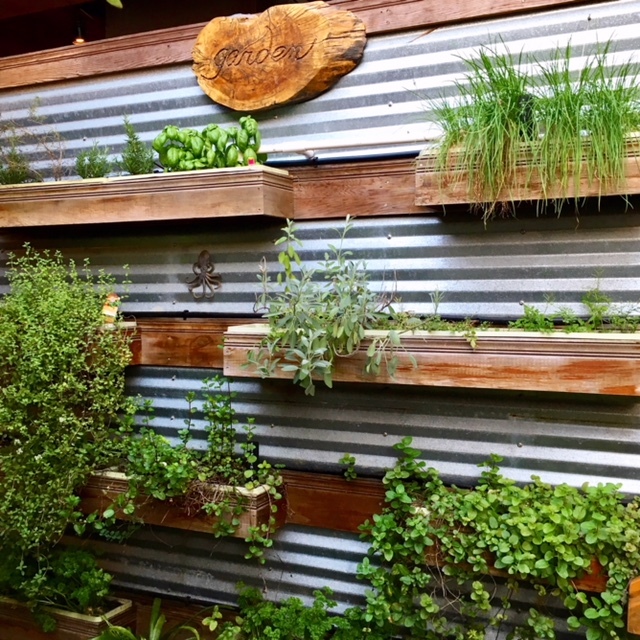 I loved this wall of herbs at the entrance to The Third Wave Cafe. The secret garden behind the restaurant is a favorite place to eat. It is a magical spot at night. The food is sourced from local farmers. 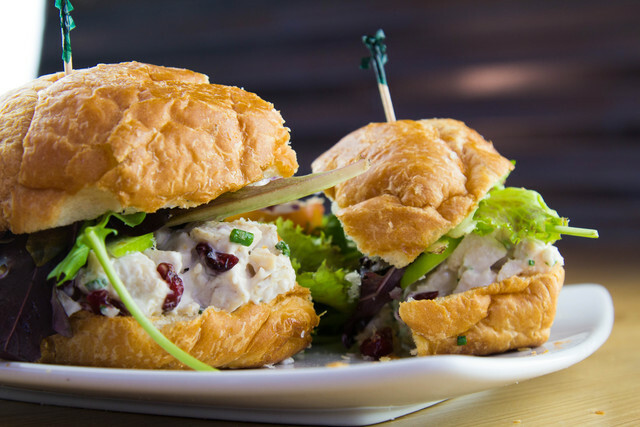 The chicken salad croissant is made from organic chicken, dried cranberries, orange mayonnaise, apples and mixed greens. The evening menu includes tapas, wood-fired pizzas and full entrees like Shrimp and Grits and Shrimp and Scallop Scampi. Forgive me for not blogging more often, but we have been very busy this winter. Our friends will arrive for bike week tomorrow so I probably won’t be on my blog for a little while. We return to Lake Lure the first of April. 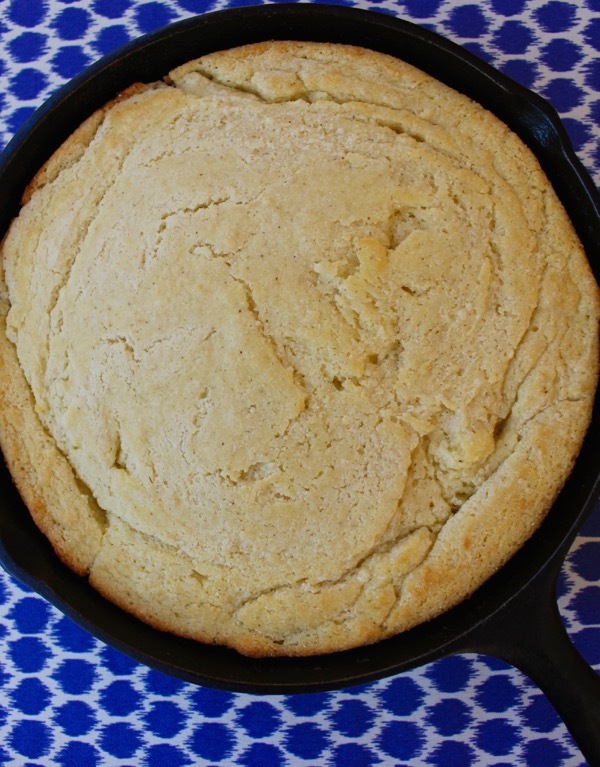 If you like cornbread, I think you will like this one. Hope you give it a try. Place butter in a 10-inch cast-iron skillet, and heat in a 425 degree oven 5 minutes or until melted. Combine cornmeal mix, flour, and sugar in a large bowl. Stir together buttermilk and eggs. Add to dry ingredients; stir just until moistened. Pour over melted butter in skillet. Bake at 425 degrees for 25 to 30 minutes or until golden. Cut into wedges. Makes 6 servings. 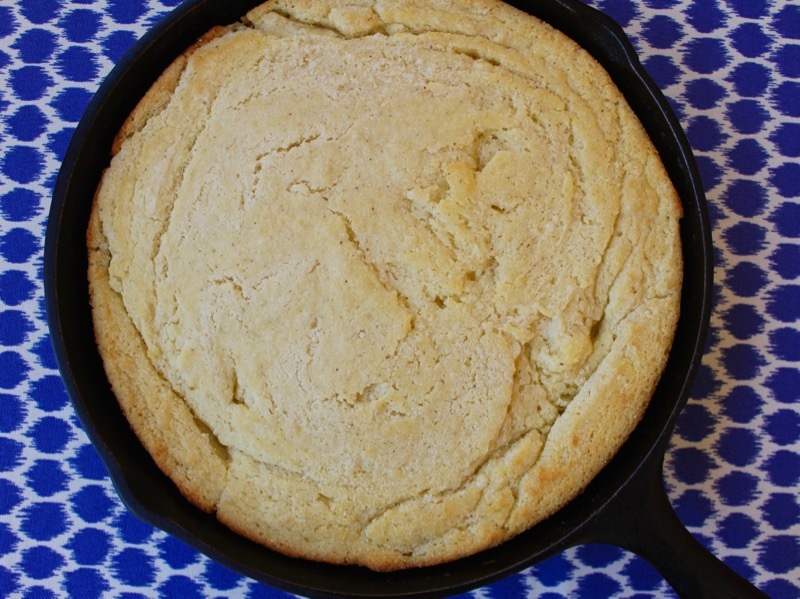 I love cornbread and this one sounds great. That restaurant sounds wonderful too. Can’t wait to see you in April! Everything looks good and I love that resto! Have fun for the remaining weeks! Love the herb garden, how clever. I do love good cornbread. 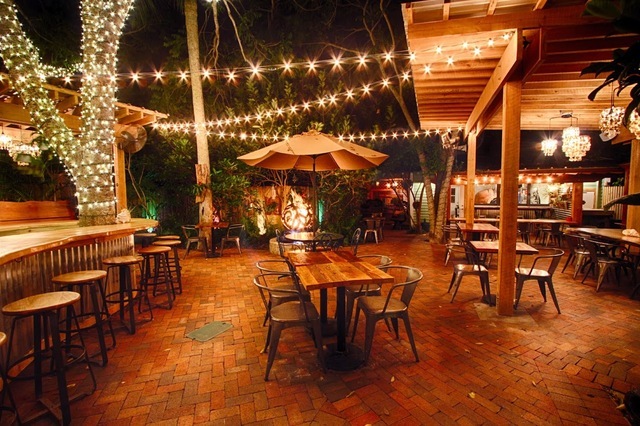 Loved that cafe & we miss you, David & your balmy FL weather…Have fun with Bike week! Enjoy bike week with your friends, we spent many a year going to it and we always stayed in New Smyrna Beach. This is another good cornbread recipe, very similar to my mother’s. This cornbread looks incredible. One of my favorite comfort foods. This post was published by Penny on March 8, 2018.